Note: Money, cash, bills, benjamins, clams, dinero, the economy, the finances, etc. The economic question isn’t only about where the resources come from (some people’s morbid curiosity about this will be satisfied in the little school, don’t worry), but also how they are managed (do the authorities get paid? nobody’s sticking their hand in the cookie jar for personal gain? etc. ), and, above all, how do we keep track of everything? Wait a second! The Zapatistas have a banking system? 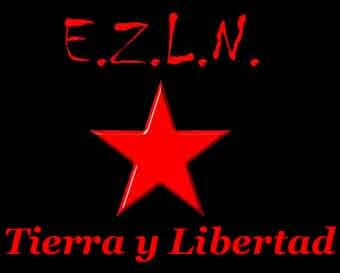 Well, continue to be scandalized because, as we have said, this is what the Zapatistas do, unsettle “decent people’s consciences.” The following are fragments from the “sharing” on the economies of the Juntas de Buen Gobierno [Good Government Councils]. So, up until now there hasn’t been any monetary support [for the authorities of the JBG], and that is how we came to realize that money cannot do the work of autonomy or the work of governing. We have realized this, because no one is getting paid for the work that they do. It’s true, I’ll tell you, that some do receive support from their community for their work, in the form of basic grains or something similar, whatever the community decides is appropriate, but never money. And that is how we have been working these nine years in the Junta. How do the members of the Junta travel to your Caracol [i]? If there is transportation [usually a bus or smaller collective van], then they go in that, and if there is no transportation, then they walk. The Junta’s limited resources cover the cost of their transport, yes, so they do receive financial support for their transport costs, but nothing more. If it costs 20 pesos then they are reimbursed 20 pesos when they arrive. The compañeros and compañeras that work in these cargos [ii] of the authority, as was already mentioned, do it out of conscience, of their own volition. But these compañeros also live in communities where there are many compañeros, and so there is also communal work, organizational initiatives to organize resistance. And so these compañeros, some of them, have the right to do their work in their free time, and therefore don’t have to also participate in the collective and communal work in their community. Autonomous government manages the different work areas, including education, commerce, health, communication, justice, agriculture, transportation, campamentistas, [people who come to stay in the Zapatista villages for awhile], BANPAZ (the Zapatista Autonomous Popular Bank), BANAMAZ (the Zapatista Women’s Autonomous Bank), and administration. These are the work areas managed within the autonomous government. In the beginning, when the Junta de Buen Gobierno began, there weren’t very many compañeros and so each compañero had three or four work areas, because there were very few of them. By the second period of the Junta there were already 12 compañeros, and so the work that they had to do began to balance out a little better, they only had two or three areas per compañero. In this third period of the Junta de Buen Gobierno we now have 24 people and the work has balanced out. The different work areas are divided among compañeras and compañeros; the Junta has two teams, and there are 24 of us, so we each cover 15 days per month. In each of these different work areas there are two compañeros and two compañeras, and that is how the Junta de Buen Gobierno functions, those are the areas it manages. That’s all compañeros. So now we’ll move on to the next compañero. In the communities—as we were discussing with the compañeros, because we have a little bit of knowledge of the zone—there are collective fields of beans and corn, cattle collectives, collective stores, and chicken collectives. There are small businesses, not permanent businesses that are there all the time, but sometimes when there are small events, people bring their small businesses to them. The compañera said that one community in her region started with a chicken farm business, and every now and then they kill a chicken or two and make tamales, then they sell these tamales and little by little they amassed a fund and ultimately used this fund to buy a corn mill. That is how they created their cooperative work. Another compañero knows of another community that has another way of doing things, it is a center where many people from other communities come, and there the compañeras organized themselves to make a tortilleria [tortilla store], but not because they bought one of those machines that we see in the cities and are there dispensing tortillas from an assembly line. These compañeras are there with their press, making their tortillas by hand and selling their tortillas to the people who buy them, and that is their collective work. This is how they organize many other things in the communities. And what is this for? Well it is so that when a compañero in this community, it may be the education promoter or the health promoter, has to go and do their work, the community can give them something to cover their transport costs, so that they can do their work. Here in the Caracol II of Oventic, we receive visitors, national and international. Many of those visitors only come in order to visit the center, the Caracol, but some who come wish to support the community leave a small donation. If they decide to leave a small donation, they don’t leave much, they leave it here with the Junta who receives it, and the donor receives a receipt for their visit from the Vigilance Commission. The Vigilance Commission also sends a receipt to the CCRI [Indigenous Revolutionary Clandestine Committee], the original stays with the Junta, and a copy goes to the donor. The small donations are gathered and the Junta administers them. They use them for whatever expenses we have here in the Caracol center, and that is how we spend the donations, but they are small donations, people don’t leave much, it depends, it may be 40 or 50 pesos or 100 pesos or so. But if it gets spent, it is not only the Junta that knows, because each month the Junta makes a report; we make an end of the month report each month. When the Junta makes its reports, the Junta members don’t do it alone, but rather all 28 of us members get together to make the report, including some compañeros from the CCRI, so that together we can see how the resources that we have here in the Junta in the caracol have been spent, or how the Junta de Bien Gobierno administers them. Another obligation of the autonomous government is to govern with sincerity and honesty all of the economic inputs and outputs in each area of government, because all of the goods and materials are for everyone. As I explained a little while ago, the Junta can’t just manage these resources willy nilly, including those donated by compañeros in solidarity. Each area of [good] government in the municipalities, in the Junta, makes their monthly report, and our reports are very detailed, even 50 pesos spent somewhere has to be noted, it should be clearly stated how those 50 pesos were spent, and that is how we do our report. As I said a little while ago, it’s not just a couple of members who make the report, but all 28 of us get together, including compañeros from the CCRI, and that is how we work here in the caracol center. Also we have a Funds Commission, here in our zone we have a small fund. As the compañera explained, there are three women’s [work] areas, for example herbalists, [bone] healers, and midwives. One time in this work area they elaborated a project, but it wasn’t only for the herbalists, healers, and midwives, but rather for the central clinic, or the health project, which included the three groups or areas of herbalists, healers, and, midwives. This project had a budget for food, which was 50 pesos per day, and the workshop was for three days, so the course costs 150 pesos for the food, but apart from that there were also transportation costs, which also had a budget that depended on the compañeras’ distance traveled and amount spent. And so it was in this budget, in this project, in the entire zone, that all of the regional authorities, the autonomous councils, realized the importance of creating a fund. The agreement reached was that we wouldn’t spend the entire amount budgeted for food, but rather just a small contribution, or 10 pesos paid by each compañera. But because it was three days, each course or workshop would cost 30 pesos, and so there was some left over. According to the agreement of the assembly of authorities, the rest would be saved as a fund for the zone, not the region, but the zone. Also regarding transportation, an agreement was reached to only spend 50% of the budget, and the community would contribute 50% also, and so 50% was left over for the fund of the zone. Why did we do it like this? Because we had seen here in our zone that the economic resources are more and more scarce when we have some kind of movement, and that’s why we decided to save part of the money as a fund. And that is how we created this support, the fund for the zone, and that is why we created the Fund Commission, the Savings Commission. I’m not sure if that answers your questions. Who approves the report on the finances and the general report, if there is no one in charge (sticking their hand in the cookie jar)? Well, during our time as Junta, we worked all together, there wasn’t anyone else who checked the report, only the entire Junta team. But each time we wrote a report on our spending we sent a copy to the Information Commission; all of the purchase reports as well, we planned the food purchases together with the Information Commission. We all decide together in the office of the Information Commission, with the Vigilance Commission also present; the three offices would meet, and we would come to an agreement regarding whether we were going to buy something, or if we were going to have a commission how much its costs would be, and how to report its expenses to the Junta. Each shift would give an account, because each shift would elect a secretary and a treasurer, who would be responsible for the money, who would keep track of it, we didn’t all control it together. If a compañero were responsible for a quantity of money, for example, 10 thousand pesos, he would be responsible for administrating this money for 10 days, and this compañero would be responsible for managing the economy, the expenses, the secretary, and the treasurer. At the end [of that 10-day shift] we would tally how much was spent and if a compañero was missing 100 or 200 pesos, then he would owe that money because he had been responsible for administrating it during those 10 days. This is what we did during each shift, check to see if the accounts balanced, we didn’t let it pile up until the end, but rather during each shift we would be checking to see if it added up to the 10 thousand pesos that corresponded to that 10-day shift. But the purchases were always made on agreement of the three offices. The question is, do you have data to ensure that these compañeros are telling the truth? That no money is missing? What facts ensure this? Compañeros, the response to this question is that this is done with the receipt, the record of money entering. If there is a certain amount, let’s say 50 thousand pesos, taken in during a given time, then the compa whose turn it is, as the other compañero said, will manage this 50 thousand pesos for 10 days. If he spends three or four thousand of that, he has to provide a report regarding what the expenses were along with the receipts for whatever he spent, or for the commissions that didn’t have any expenditures except for food, so that the account is balanced. And it has to add up correctly, because it isn’t only the administrator who is keeping track, but also the Vigilance and Information Commissions, because they also have a list of how much money is being managed. And if it isn’t delivered with a receipt, how can it be verified? The way that we do it is that all of the money that comes in must have a receipt, because if a compañero in solidarity comes to give a donation, they have to have a receipt to deliver or to tell their collective or organization how much was donated. Copies of this receipt stay with the Junta and with the Information Commission, so nothing can be lost as all donations are recorded. And the financial outputs are handled by the Junta with the commission that is currently learning how to balance the accounts. “Zapatista” by the group Louis Ling and the Bombs, from Paris, France. Anarchist Punk Rock. The track is on the album “Long Live the Anarchist Revolutionaries.” They take their name from Louis Ling, who was born in Germany and migrated to the United States at the end of the 19th century (1885). When he was condemned to be hanged, Louis declared to the representatives of capitalist law: “I despise your order, your laws, your force-propped authority. HANG ME FOR IT!” Dedicated to all of the anarchist compas of the Sixth. From South Africa, the Shackdwellers Movement (Abahlali BaseMojondolo), which struggles for land and dignified housing, sends greetings to the Zapatista indigenous communities through the Movimento por Justicia del Barrio, in the other New York, USA. Resistance and the rebellion connecting Mexico-United States-South Africa, below and to the left. [ii] Cargo is like a combination of duty and task, or charge; it refers to a position of responsibility.